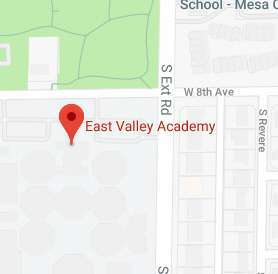 Mon, Tue, Thu, Fri8:00 a.m. - 3:00 p.m.
East Valley Academy is longer accepting applications for the 2018-2019 school year. On May 1st we will begin accepting applications for the 2019-2020 school year. Please check back if you are interested in becoming a student at EVA! Make an ECA Tax-Credit Donation Here!